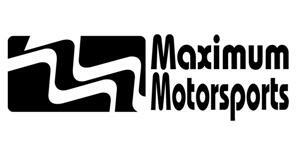 Finish off your coil over conversion with these non-offset front control arms from Maximum Motorsports! 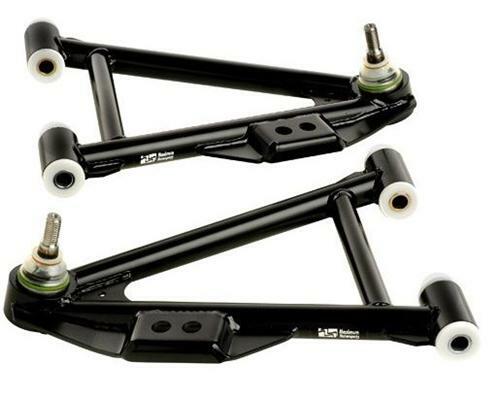 Improve handling & save weight in your 1979-1993 Mustang with tubular front control arms! Non-offset control arms maintain the stock relationship of the ball joint to the pivot bushings. By removing the spring perch along with the tubular design; you will be dropping a combined 13.5 pounds from the front of your 1979-1993 Mustang! This set features a Delrin bushing which offers zero deflection. This is ideal for track use. Street use will see an increase in noise, vibration, and harshness compared to urethane bushings. Keeps stock wheel base with factory K-member. Will move wheelbase forward 3/4" with the Maximum Motorsports K-member. Does NOT fit 1984-1986 SVO Mustang.